Kyauk Phyu, Arakan – Rakhinese mob in Kyauk Phyu are destroying a mosque that is situated on Strand Road, Than Pan Chaung Quarter in Kyauk Phyu Township of Arakan State. The mob claims that they are totally uncomfortable with the now concluded visit of OIC delegation led by Secretary General Prof. Ekmeleddin Ihsanoglu. They give this as the reason that they are destroying the mosque. They started at 8 pm local Myanmar time. The mob came from rural areas in the last few days to protest against OIC in Kyauk Phyu. The Muslims lived in Kyauk Phyu were forced to leave from the town on October 22nd-24th of last year. All of them were placed in refugee camps. After a year, this the only mosque that was left in good condition among seven in Kyauk Phyu. The last is now under attack by the Rakhines mob. According to a conversation with local Buddhists by a correspondent of RB News, the Mosque’s Minaret was completely destroyed in the beginning and 75% of the mosque was destroyed at 10:45 pm local time. Although the security forces are standing in front of the mosque, they are not stopping the mob and letting them to destroy it. The two story Madrassa (Islamic School) that is situated inside the mosque was completely destroyed and the mob are destroying the walls outside of mosque at this moment. The Rakhinese mob consists of about 600 people, according to local Buddhists in Kyauk Phyu. The Cabinet on Monday reiterated the Kingdom’s calls to the international community to provide aid and guarantee the arrival of assistance to the Muslim minority in Myanmar and help those affected to regain their humanitarian rights. The Cabinet also called for halting crimes of displacement against them. The meeting was presided over by Crown Prince Salman at Al-Yamama Palace in Riyadh. Abdul Aziz Khoja, minister of culture and information, said in a statement to the Saudi Press Agency that the Cabinet commended the efforts of the Organization of Islamic Cooperation (OIC) in prompting the authorities in Myanmar to tackle the issues of human rights and other issues that affect the Muslim minority. They also commended the organization’s declared readiness to contribute in the reconstruction process and provide aid to those affected in the state of Arakan. He said the Cabinet congratulated Custodian of the Two Holy Mosques King Abdullah and Crown Prince Salman for the Kingdom’s winning a seat at the United Nations’ Human Rights Council for a third three-year term. The Cabinet also expressed Saudi Arabia’s condolences to the Philippine government for the victims of Typhoon Haiyan and valued the king’s order to provide $10 million in cash as a contribution to government and international efforts to tackle the effects of the disaster. The Cabinet welcomed the fourth News Agencies World Congress, which is being hosted in Riyadh under the auspices of custodian of the two holy mosques. The recent OIC’s foreign ministers visit to Myanmar was, in fact, since the last year’s continuation efforts of Organization of Islamic Conference to pay visit to Myanmar under the agreement of Union Government of Myanmar to evaluate the situation in Myanmar. OIC is comprised with (57) Islamic countries from every corner of the world and it has been extending helping hands to the needy people of the world under the theme of regardless of race, religion and cultural differences, since its emergence. From the one hand, after having been agreed by the government of Myanmar to allow the OIC to pay visit to Myanmar in the last year, there had been intentional nonstop demonstrations, all over the country against the OIC’s visit, which might have been led or screwed from the other hand by both the inner circle of government of Myanmar and all coordinated Rakhine Political parties such as RNDP and ALD which is led by vet. Aye Maung and Aye Thar Aung. In the year 2012, because of the mushroom like free hand demonstrations which were being permitted by the authorities to celebrate shamelessly to be seen by people of the world, that had totally been against the OIC, U Thein Sein has ended up by himself to stop the OIC’s visit under the pretext of mass people’ desire that do not need OIC’s official visit which to have had a helpful assessment against the violence that had been one-sidedly erupted along entire Rakhine state and Myanmar proper, targeting the innocent Muslims. 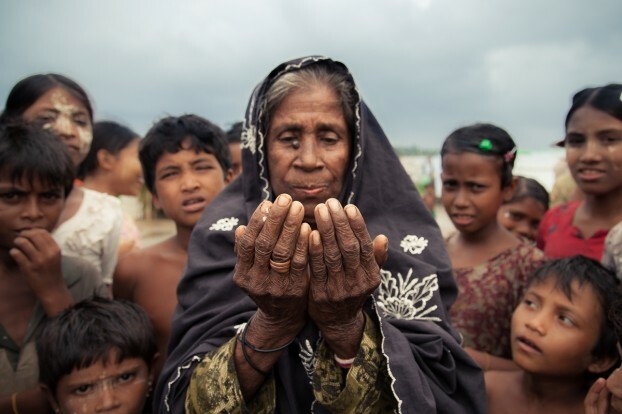 Seeing the OIC countries’ disunity among them and the true loophole of the weakness of the Muslims Ummah of the world by the government of Myanmar and Rakhine (Maugh) intellectual people, it was seemed to have adopted an annihilated plan to finish Rohingyas and Muslims of Burma while there wouldn’t be any outcry or helping hand from the Muslims Ummah of the world. 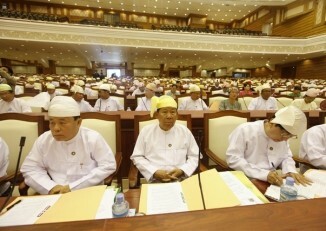 But right now, we entire Myanmar people are highly appreciative to seeing the meticulous endeavor of OIC’s delegates in the United Nations to help solve the problem of Rohingyas and others very peacefully in the sidelines of the UN and also happy to notice the OIC’s constructive engagement to work with the government of Myanmar without setting any blockage which may curve the regime of Myanmar and become a block stone to the democratic reform of Thein Sein regime with the United Power of OIC in the United Nations. Organization of Islamic Conference is neither a super power wielding organization nor a bully union similar to the United Nations Security Council to use the ultimate authorized power to the targeted destination nor does it have remarkable records that have ever interfered in any United Nations member country of the world in its history! Having been the very useful multilateral diplomatic channels for the sake of the country, ultimately, U Thein Sein government has realized to allow the goodwill visit of OIC foreign ministers to Myanmar to do their works with the coordination efforts of Myanmar government in every level. After having an agreement with the OIC in the United Nations sidelines to coordinate in matter relevant, OIC was set to pay visit to Myanmar under the bilateral agreement. While OIC was in Myanmar, there have been several deceitful, cunning and devious demonstrations which were being arranged by RNDP, ALD and their grassroots level townships and village organs that have been debauching and humiliating the valuable guests all along the trip. Neither, such the demonstrations will help solve the outstanding problems which so far unsolved and become regional and international issue in which all incumbents of the world have been involved nor the culprits who have undertaken in along massacre and overall social devastation of Rohingyas, Kaman and Burmese Muslims will be able to escape from the international criminal courts but rather the past demonstrations and next coming ones will worsen the unsolved problem more complex for the peaceful solution to the problem. Being Myanmar and OIC are the same developing countries status, OIC has a sympathetic attitude on Myanmar and no country is above one another. OIC does not want to put any head-ache on Myanmar government because no OIC country is a super power in its Organization or a collective super power to push any country of the world into troubling angle rather to engage in collective work-done bilaterally and multilaterally. imprisonment for the sake the Union, Rakhine state and that of the people’ bright future because Aye Maung, Aye Thar Aung and some Rakhine politicians and parliamentarians are ultra-violent attitude to the nation building task, peaceful co-existence, harmonious society, rehabilitation, reconstruction process and become chauvinistic to the nature of very reality and a big stumbling stone for the sake of the country. YANGON, Myanmar — The secretary general of the world’s largest bloc of Islamic countries said emotional visits with members of the long-persecuted Rohingya Muslim community — chased from their homes in Myanmar by Buddhist mobs and arsonists — brought him to tears. 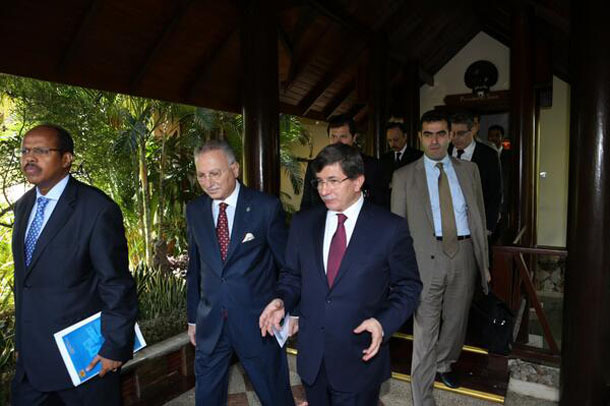 “I’ve never had such a feeling,” Ekmeleddin Ihsanoglu said late Saturday, as he and other delegates from the Organization of Islamic Cooperation wrapped up a three-day tour to Myanmar that included talks with the president, government ministers, interfaith groups and U.N. agencies. But he said it was the huge, emotional crowds living in trash-strewn camps outside the Rakhine state capital, Sittwe, that made the biggest impression. “I was crying,” Ihsanoglu said. 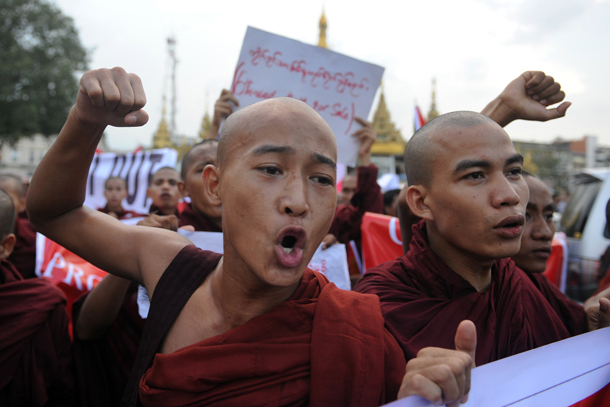 Myanmar, a predominantly Buddhist nation of 60 million, emerged from a half-century of military rule in 2011, but its transition to democracy has been marred by sectarian violence that has left more than 240 people dead and sent another 240,000 fleeing their homes. 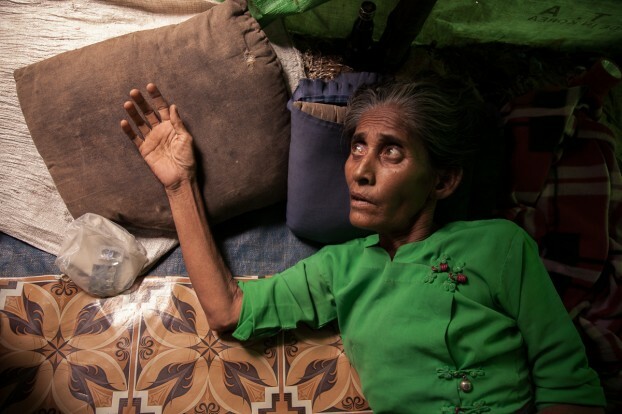 Most of the victims have been Rohingya. Though many of their families arrived generations ago, all have been denied citizenship by the government. 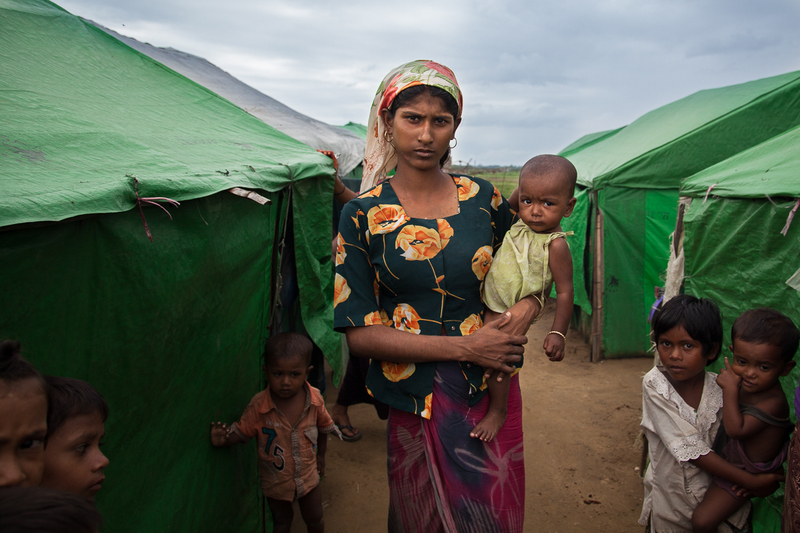 Many children in displacement camps have not gone to school for more than a year. Those who wish to leave — for medical treatment or otherwise — have to pay hefty bribes. 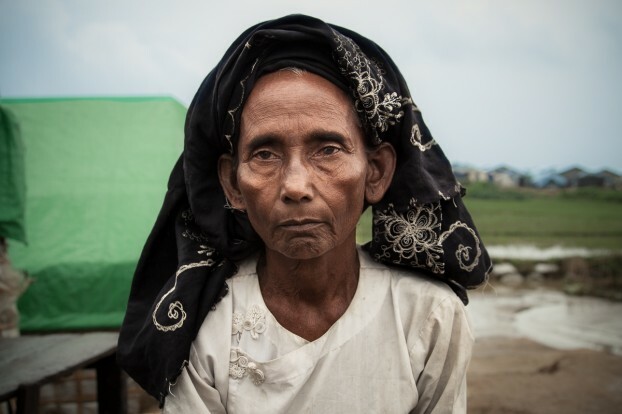 Humanitarian aid workers face constant threats by Buddhist Rakhine, who accuse them of being biased in favor of Rohingya. Ihsanoglu said that while visiting the Sittwe camps, he and other members of the IOC delegation were met by crowds of 5,000, but due to the language barrier, they were unable to communicate. “They were desperate. They were afraid. They were happy we were there, but it was a happiness expressed in crying,” he said, adding that he was eventually able to offer the Islamic greeting, “Assalam Alaikum,” or “May God grant protection and security,” and the crowd responded in kind. Still, Ihsanoglu called it a success — mostly because it came at the invitation of a government that has largely remained silent about the repeated attacks on minority Muslims. He said he received assurances that the government was seeking to resolve issues of citizenship for its 800,000 Rohingya, but gave no details. “If this issue is not solved, it will be a big problem,” he said. 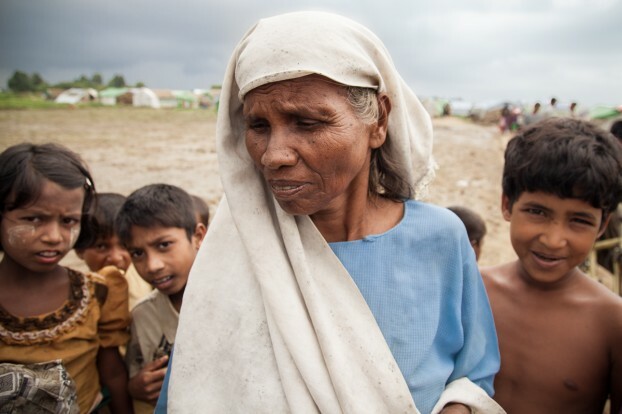 Rohingya, excluded from Myanmar’s 135 recognized ethnic groups, have for decades endured systematic discriminatory and exclusionary policies, restricting movement, access to education and jobs. Opposition leader Aung San Suu Kyi — who has said little in defense of the religious minority — declined to meet with the OIC delegation. 1. To build a united exemplary strong Rohingya Nation who would be able to contribute to the world affairs. 2. To develop & increase the rate of literacy to make better condition of the lives. 3. To research and develop all the elements of culture of the Rohingya nation. 4. To strongly demand our all Rights as citizen in our homeland. Burma’s armed forces, known nationally as the Tatmadaw, will for the first time in over 50 years open recruitment for females at the Defence Services Academy (DSA). According to an advertisement by the Burmese Army Military Appointments General’s Office, single women who have graduated from university and who are no older than 30 can now apply for a six-month cadet training course. Zaw Htay, the President’s Office director and a DSA graduate, said the army is reintroducing the programme because it is “relevant in today’s world”. 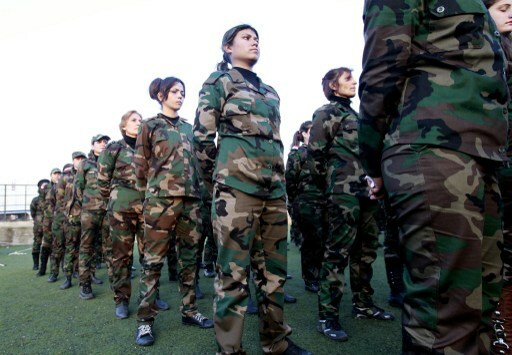 After completing the course, women cadets will be assigned lieutenant and second lieutenant ranks in the armed forces. DVB has learnt that the army was also considering introducing training for female corporals and sergeants. Tin Oo, a former commander-in-chief and current deputy leader of the opposition National League for Democracy, said the army used to recruit females in the 1950s but never since. “The army recruited females back during Gen. Maung Maung’s time, especially university graduates, but not very many,” he said. 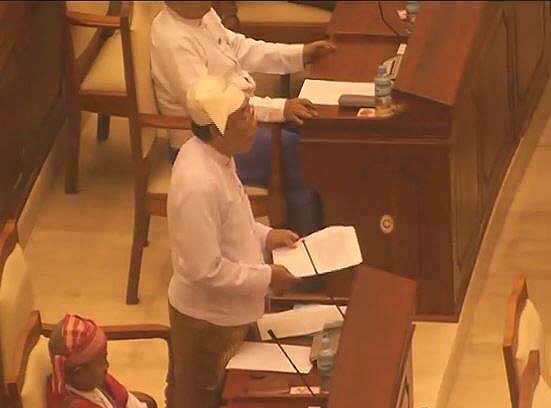 Nyo Nyo Thin, a Rangoon division MP representing the Democratic Party (Myanmar), said she welcomed the news. It is presently unclear how many female officers will be offered training and whether they could be sent into combat situations.